A little while ago I was on an episode of the Nice Guys on Business podcast. I reached out to them because I thought it was a pretty cool concept, nice guys discussing business. Throughout my life I know that I probably haven’t always been nice. In fact, I know I haven’t been. A few incidents pop into my head that I now regret. But in recent years I’ve really tried to become more of a nice guy. I guess I don’t always know what being nice means, but I try to focus on the way people act around me and try to get some feedback from others on whether they think I’m being nice in certain situations. 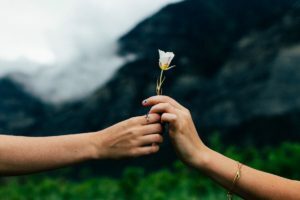 It would seem obvious to some that being nice would be beneficial, but in business it seems that there is an idea that ruthlessness is important. Cutthroat businesspeople seem to get ahead in many situations. But in my experience it’s the nice people that do the best over the long-term both in business and in life. There is value to being nice and working to improve your kindness over time. I think a misconception is that you can’t be nice and be firm when necessary. You can totally embrace the genius of the and in this situation and be nice while also being disciplined when difficult decisions are required. My grandfather is someone I think about when I think of a genuinely nice person. He was always open to having a conversation. He listened well. He asked questions. He could tell stories. He rarely had a bad word to say about someone. He was open. He was honest. But if someone rubbed him the wrong way or did something that brought continued negativity to his life he wouldn’t hesitate to make a difficult decision. That might mean severing ties in a relationship with a friend or making a difficult business decision. Being nice is about treating people with respect and treating them fairly. I think part of being nice is being patient. People that fly off the handle with their tempers and emotions are not generally thought of as being nice. It seems that it’s more and more difficult today to have patience. You can open any business website and read about the fastest growing businesses. You can instantly get any kind of information you want with a simple Google search. The news comes faster and faster and it seems that being first is more important than being accurate or even interesting. Nice people take their time. They’re patient. They focus on the long-term with people, projects and more. It’s an attractive trait and something that appeals to people even if they don’t know whey they’re attracted to it. Accepting the right of others to live their own lives, to do their own things and to say their own things is an important virtue in life. I don’t know if we have more or less tolerance than we’ve had in the past. I know that many nice people I meet are very tolerant of others. They’re open to new people, new experiences and new points of view. An important aspect of being nice is being open and interested with someone that you meet. A nice person listens, asks questions and is genuinely interested in other people. Those that are mean or rude or the opposite of nice are those that are closed off from others. They don’t listen. They interject their own opinions and stories. Being nice is good for the world. But we can look at it on a personal level too. Being nice extends your life. Being nice makes you more effective at work. Being nice makes you happier. Being nice makes you more attractive. The idea of being nice is a long-term one. The ruthless corporate world will burn you out. You might earn less as a nice person in the short-term, but if you’re driven and create goals for yourself you’ll do better if you’re nice than if you burn bridges on your way up the ladder. It takes discipline to be nice, but the more you practice it the better you’ll become and over time you’ll see the benefits; those included above and likely even more.